There is one type of junk mail I don’t mind seeing in my postal inbox. Whenever the US Patent Office grants a patent, all kinds of opportunists from the awards, personalization, and engraving industry spam the inventors with offers of beautiful plaques engraved with the patent’s front page. I was happy to experience this junk mail avalanche once again this past summer when US 7,751,431 was granted. 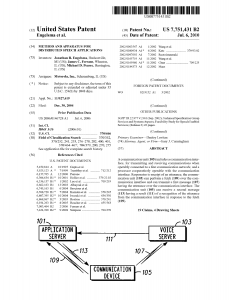 This patent covered work I did with my Motorola colleagues Jim Ferrans and Mike Pearce back in 2004. Back then we were studying distributed multimodal architectures. 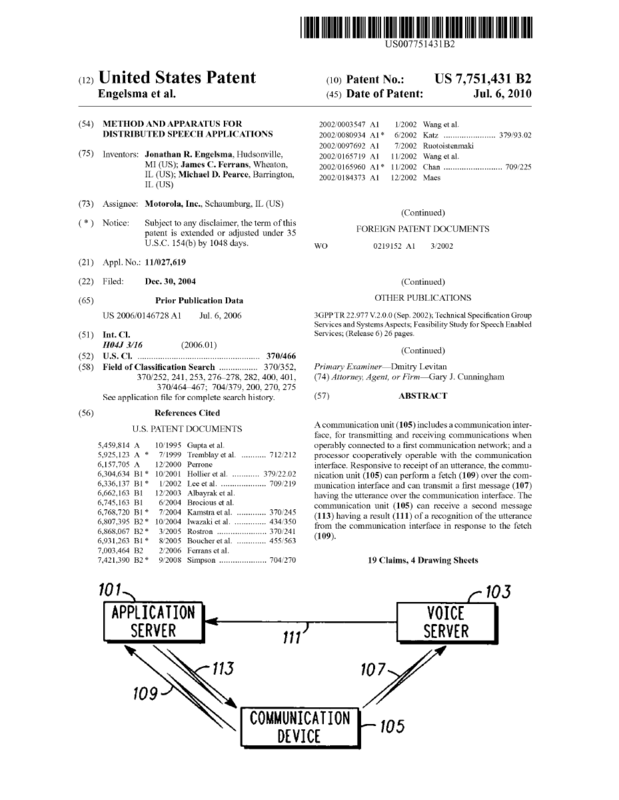 More specifically, we were looking for ways to integrate a speech recognition modality into applications running on mobile handsets, where the speech recognition was resident in the network. This is one of several approaches we came up with. On a related topic, not so long ago Jim Ferrans and I published a book chapter in which we survey a wide variety of issues and findings that resulted from our foray into mobile application architectures with network-based speech recognition modalities. The book itself is rather pricey, but happily you can download a copy of our chapter for free from Motorola’s technical publications site.